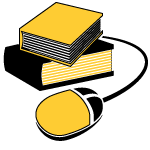 While some courses do not require a textbook, the Virtual Bookstore offers a convenient, fast way to get textbooks for the courses that need materials. Required materials are specific to courses and lesson plans, so obtaining the correct title and edition is key. Students can recover some of the cost by selling back their materials using the Book Buyback option. To learn about materials needed for a specific course, navigate to Find a Course, select a course, and click on “Required Materials.” Students will also receive an email including a “Required Materials” link during course registration. To process your order, navigate to the Virtual Bookstore. UPS is the preferred carrier for shipments. UPS shipments can be tracked and are guaranteed. The bookstore ships within 1 business day and uses UPS ground, which has shipping times of 1-5 days within the continental US. Visa, MasterCard, Discover, American Express and checks are accepted. *For processing of school purchase orders for textbooks please contact your Affiliate School and Student Support Coordinator. Note: Tuition payments for courses and for textbook purchases are separate transactions. The availability of e-book and alternative format versions of textbooks will vary by course. Please see our bookstore website for availability. Most textbooks from the Mizzou K-12 Online Virtual Bookstore will have a guaranteed buyback. Because the demand for books constantly changes, the buyback price will be quoted at the time of purchase. To ensure book buyback processing, students should maintain the good condition of their books. For more information, please see the Book Buyback Conditions.